If you’re someone who likes to run or get outdoors, it’s important that your shoes stay dry in all types of weather. You’ll stay more comfortable throughout the day, and your shoes will last longer. You will also have fewer aches and pains with your feet if you’re careful when you choose a shoe. 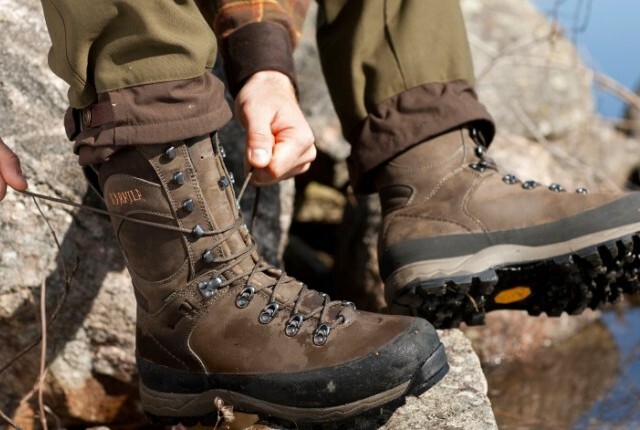 We’ll go over the top five waterproof shoes for men that are currently available for purchase. 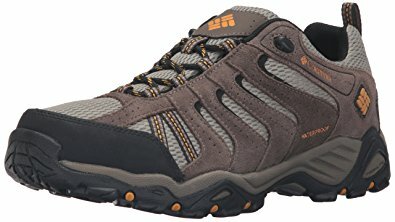 The Merrell Men’s Moab Waterproof Hiking Shoe is made with a combination of leather and mesh with a durable rubber sole. The extended tongue on this shoe help to keep any excess water out. The mesh lining of this shoe is breathable, and this contributes to keeping your feet dry as you go about your day. The soles provide excellent grip for when you go outside in any weather. They have a flexible design that allows for all day comfort and additional arch support. Finally, the leather and mesh design makes them easy to clean and keep in good condition no matter what type of terrain you wear them in. 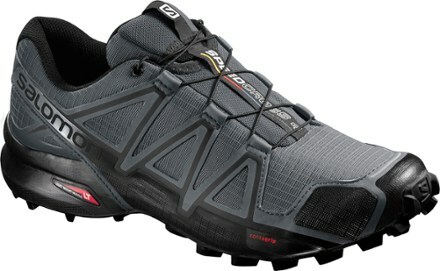 The Salomon Men’s Speedcross 4 Trail Runner is made with an anti-debris mesh and a water resistant textile. The soles are designed for getting a superior grip on any surface, and they are thicker, so they’ll last longer. These lightweight shoes are flexible and made for running in all terrains. The body of the shoe is designed to make the water simply run off of your shoes without soaking in. This means you’ll have a dry run, even if it’s wet or damp outside. The darker colors match with just about any outfit, and there are three different colors to choose from. These shoes offer a locking tab that will keep your laces secure for when you’re on the go. 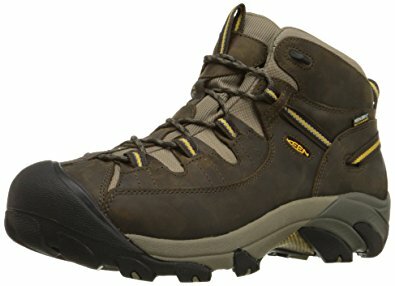 The KEEN Men’s Targhee II Hiking Shoe is made with leather and textile for a durable, waterproof design. They come with a two-inch heel and a thick, durable sole that is perfect for gripping and gaining traction as you walk or run. The leather will hold up against scuffs and everyday wear and tear. If you want to add even more life to your shoes, treat them with a leather conditioner. This will keep them looking like new, and it will keep the leather soft. The padded tongue provides additional comfort and an excellent fit. The water will have less of a chance of getting inside if it is wet out. The inside is also padded for extra comfort. 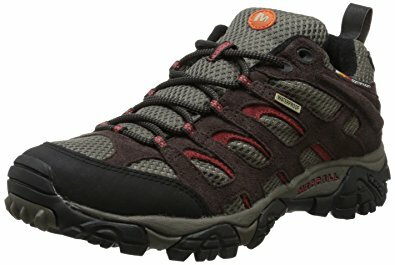 These are excellent shoes for everyday wear, or if you plan to go hiking or running. The Adidas Outdoor Men’s Climacool Boat Lace Water Shoe features an open mesh design for maximum airflow and breathability. The Climacool tooling construction that goes into these shoes will help keep water out while keeping your comfortable. This shoe’s tongue is designed for a snug fit, and it will help to block water from getting into your shoe. The stretchable heel insert will cushion your heel so you can wear these shoes all day without aches or pains. As a bonus, these shoes are made with five to ten percent recycled materials, and this makes them more environmentally friendly than a lot of other waterproof shoes. The Columbia Men’s North Plains Drifter Waterproof Hiking Shoe is made with a winning combination of mesh, suede leather, and rubber overlays for maximum waterproofing. The seams of this shoe are sealed with Omni-Tech breathable technology that ensures your shoes will stay together and dry no matter what elements you go out in. The soles of these shoes are made with a lightweight Techlite design for an all day comfort, high energy return, and superior cushioning capabilities. You can purchase them in a variety of neutral colors that will fit any wardrobe choice. They are flexible enough that you can take them in a variety of terrains, but they’re durable enough to last. The sole is designed to grip a variety of surfaces without being too sticky for regular use. It is essential to research when you’re deciding on a new brand of shoes. There are dozens of styles and materials to choose from. 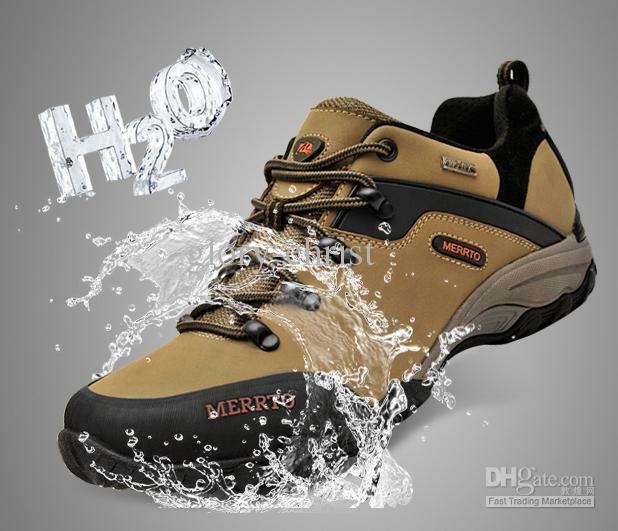 You want a waterproof shoe that you can wear all day and be comfortable. 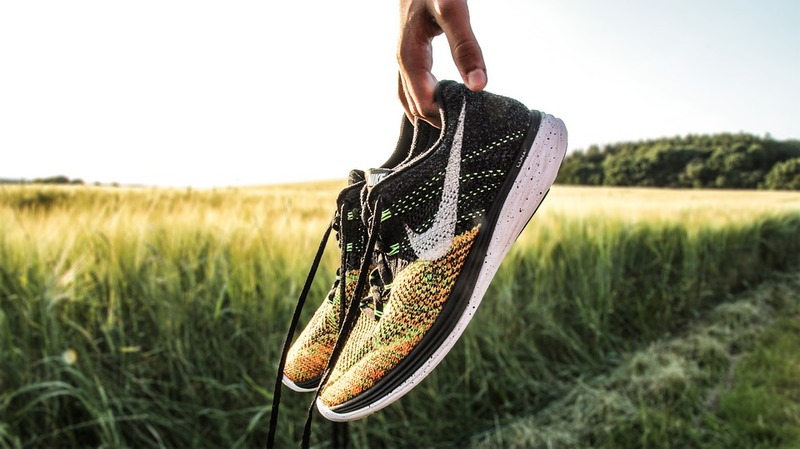 If you buy a durable shoe, you’ll get more out of them, and you’ll have fewer problems with general wear and tear. It is also important to keep your feet healthy, and you can do this by keeping them dry and supported with a good shoe.